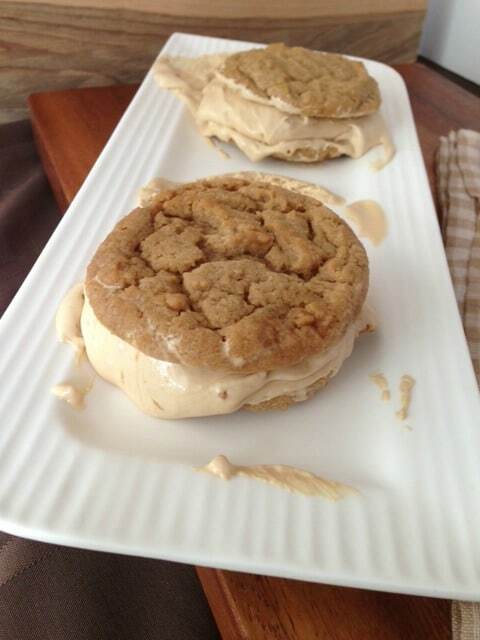 Chewy Biscoff cookies sandwiched around homemade Biscoff ice cream. 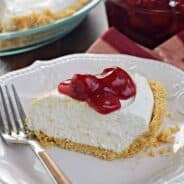 This is one dessert your family will all enjoy! Please tell me that you have tried Biscoff Spread by now? If you haven’t tried it, please do! It’s nut free, non GMO, and all natural. It’s also a great substitute in peanut butter recipes. The only way I can describe the flavor is if you take graham crackers and gingerbread and blend them together. Thanks to President Ronald Reagan, he made July, National Ice Cream Month (you’re welcome for that little bit of history lesson). Today, is actually National Ice Cream Day! 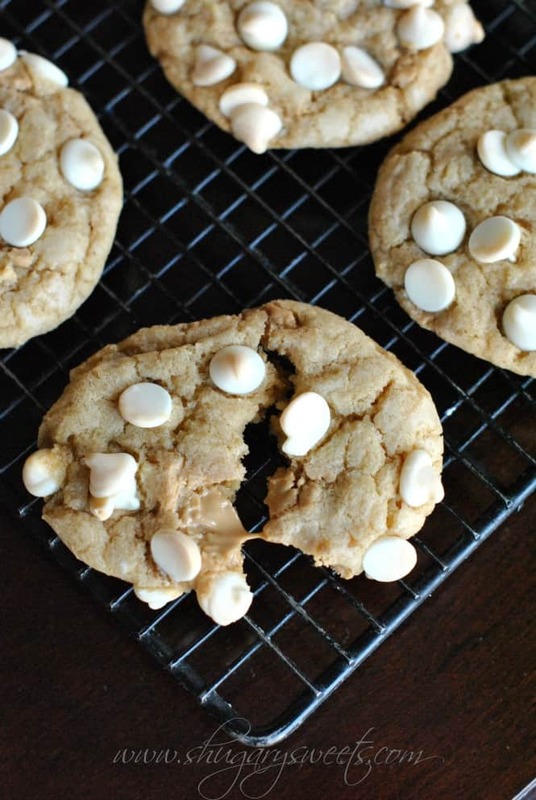 So why don’t we celebrate by making some chewy Biscoff cookies? And homemade Biscoff icecream? This was my first attempt at making these ice cream sandwiches. The cookies were incredible, but I tried to make 2-ingredient ice cream for the first time. The idea is you take a can of sweetened condensed milk and mix it with 16oz cool whip. I also added in some Biscoff. It froze just fine, but softened too much between the cookies (clearly). And the texture didn’t taste like ice cream. Not sure if that was operator error, or normal, but it was gooey like marshmallow. So, in my attempt to make you all a NON ice cream maker treat, I failed. I pulled out my $50 Cuisinart Ice Cream maker and made a delicious, creamy Biscoff ice cream. Best investment ever! And when you scoop that ice cream between two chewy Biscoff cookies? You will thank me!! Quick note about the ice cream. I added in the biscoff during the last 5 minutes of the cycle. Not all of it completely mixed in completely. It’s okay. When frozen, you get little Biscoff chunks of heaven that are absolutely delightful!! ENJOY! For the ice cream, combine milk and sugar with a whisk until the sugar is dissolved, about 1-2 minutes. Stir in the heavy cream. Turn on your ice cream maker and pour mixture into freezer bowl. Mix until thickened, about 25 minutes. Spoon in the Biscoff spread (while still mixing) and continue mixing an additional 5 minutes. Turn off and pour into a freezer safe container. Freeze for 2 hours (or overnight) before using in the ice cream sandwiches. For the cookies, beat butter with sugars until combined. Add Biscoff, milk and vanilla and beat 1-2 minutes. Add egg. Beat in flour, salt and baking powder. Drop cookies by 2Tbsp scoop onto a parchment paper lined baking sheet. Bake in a 375 degree F oven for 11-13 minutes. Remove and cool on pan for 3 minutes, then transfer to wire rack to cool completely. To assemble, pair cookies into same sized pairs. Scoop one large scoop of icecream onto one cookie. Top with second cookie, pressing slightly. Enjoy immediately or wrap cookies individually in foil and return to freezer to enjoy later! **Make your ice cream according to YOUR machine directions for vanilla ice cream. Add Biscoff in during the last 5 minutes. It's okay if it doesn't mix in completely, the unmixed Biscoff freezes into delicious chunks! **If you don't want to make ice cream sandwiches, you can enjoy the soft ice cream immediately. Store ice cream in freezer safe container for up to one week. ENJOY. **to keep your cookies nice a flat, freeze cookies for one hour before adding ice cream. I’m slightly obsessed with Biscoff. 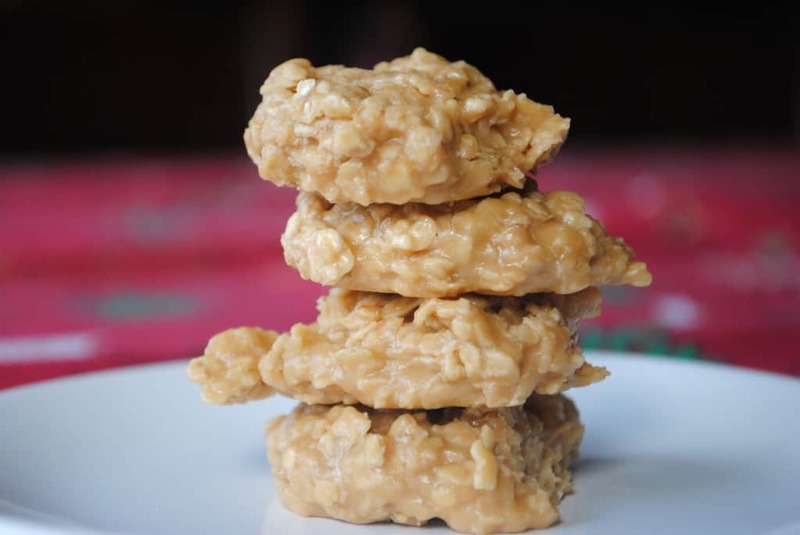 These No Bake Biscoff cookies are a great summer treat! 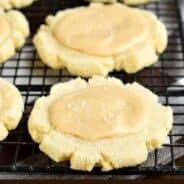 I made my own Biscoff Morsels in this White Chocolate Biscoff Cookie. Check it out!! 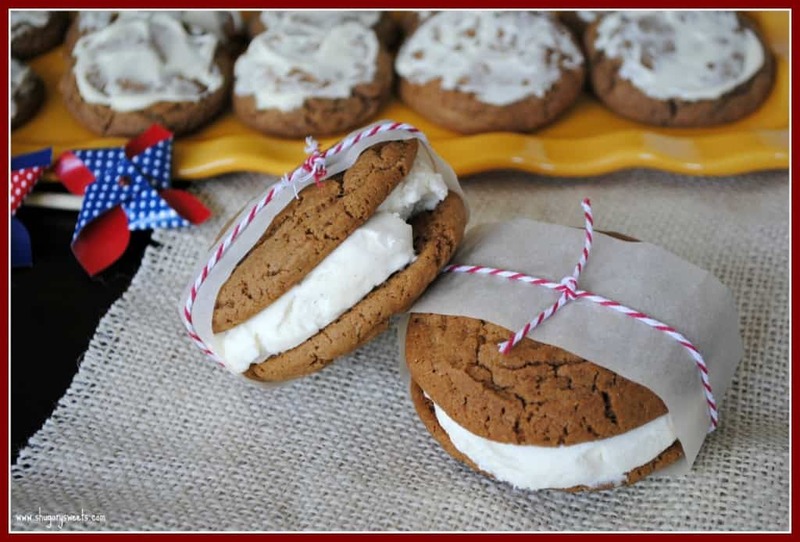 Another wonderful summer idea is making homemade Root Beer Float Ice Cream Sandwiches! These are insanely good! I remember those Biscoff morsels and cookies. Blast from the past. Love the reminder. And these…between the ice cream AND the cookies themselves (even without ice cream) I would be in heaven. Love Biscoff/cookiebutter. Thanks for pinning Averie! Biscoff is just a magical flavor…. You know how I feel about Biscoff!! 🙂 I have Biscoff ice cream churning as we speak!!!! Biscoff heaven right here! I LOOOOVE THIS! I love my Cuisanart! It makes the best ice cream and was worth every penny! Confession: I may have just drooled on my keyboard a little bit. These look SO GOOD, and for some reason, this summer, I am particularly obsessed with both Biscoff and ice cream, separately. So putting them together sounds amazing! Bring on the Biscoff! This stuff is so amazing and I am thrilled that your treats contain Biscoff in the cookies and the ice cream. Maybe you can roll the sides in crushed Biscoff crumbs to take this over the top! Oooh, now you got your thinking cap on! Ice cream sandwiches are so good! 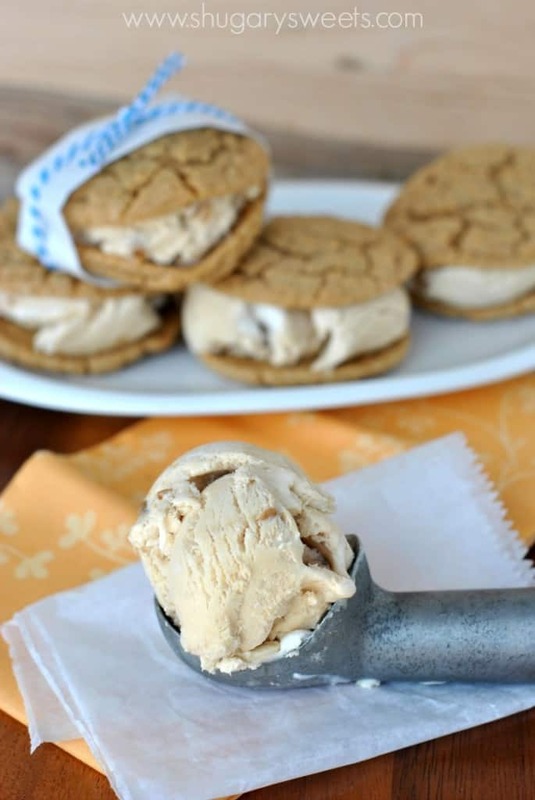 I have got to try Biscoff – and in ice cream? I could never say no! I’m glad you made the real deal:) I just tried making homemade ice cream for the first time and loved it! I’m going to have to try yours. Thanks! Oh yum! I wish one of these would appear in front of me right now! Wish I could make that happen for you!! What a great way to use biscoff! Absolutely love it!!!! These look SO delicious! I am unfortunately one of those people who hasn’t tried Biscoff spread yet..I don’t know what I’m waiting for! Seriously. Get on that. Or in that?? This is one nice double dose of Biscoff, which I’m WAY too fond of. I really want one of those! I am SERIOUSLY freaking out over these and as soon as I get home from the lake I am making Biscoff Ice Cream! Ugh – these look perfect. I want one, like right now. How could you not fall in love with these cookies?!! 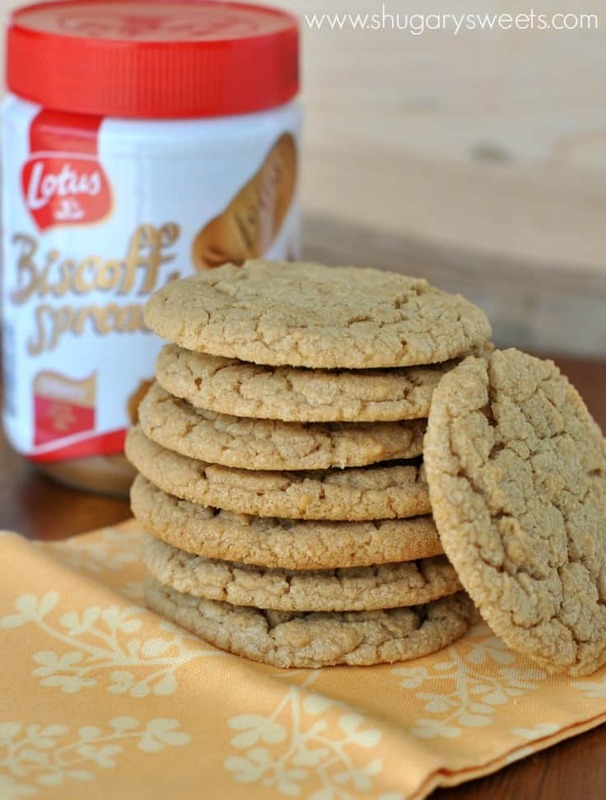 I love cookie butter, but I just can’t bring myself to spend $6 on Biscoff… as incredible as it is! I’d be happy to eat those cookies even without the biscoff! They look incredible! Oh, love that you used biscoff in both the cookies and the ice cream! whoa-ho-ho, totally making these as my boyfriend is OBSESSED with Biscoff 🙂 Thanks! Gimme, like, twelve of these and we’ll talk later. Amazing, Aimee! 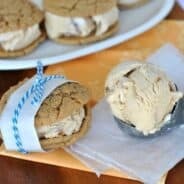 Biscoff Ice Cream in a Biscoff cookie sound amazing!!! You must be the most popular Mom EVER!! I want those chips! No such thing in Australia so I’ll have to import. Terrific ice cream sandwiches! 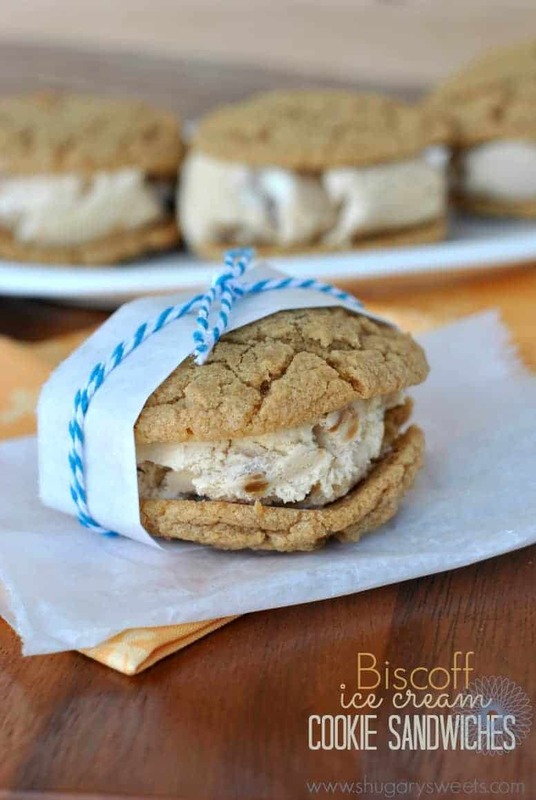 As hot as it has been lately, I am so craving your ice cream cookie sandwiches! Perfect for hot Summer weather! 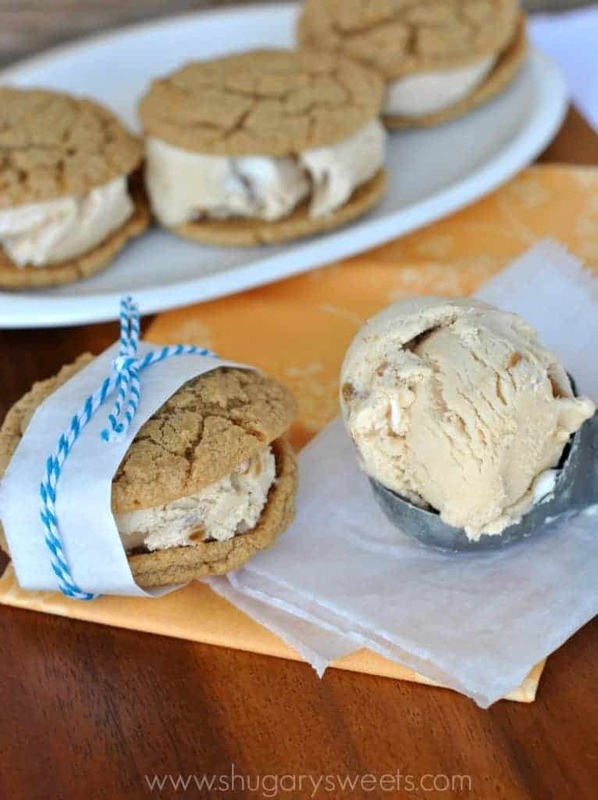 I was seriously just thinking, right before I saw this post, man I should make Biscoff Ice Cream and here you go. First the pulled pork and now the Biscoff Ice Cream. Great minds are thinking a like for sure! We’re on the same brain food wave right now!! Agghhh, you need to try the Biscoff!!! I have not tried Biscoff spread yet! These look INCREDIBLE! OH MY WORD. These are amazing!! And I thought a biscoff cookie couldn’t get tastier 😉 this is amazing, I love it! Hmmm, I said it was probably operator error!!! You guys make it looks so good! Would you call me crazy if I said I’ve never tried biscoff before? I think I definitely have to now! 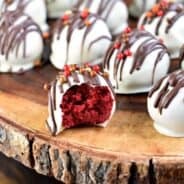 These treats look amazing!! So, first of all, I want this ice cream immediately. Especially sandwiched between those cookies! I love Biscoff so these are going to hit the most perfect spot! YUM YUM YUM!! Those cookies alone sound fabulous…but with ice cream?! LOVE! Aimee can you believe that I have never had biscoff!?!? I am thinking that I will try it after my Hawaii trip next month because I am pretty sure that I will be addicted!! That’s just not right. waiting a month? No no no…must fix that. haha, I was just talking to Dorothy about that 2-ingredient ice cream! If I use 8 oz Cool Whip mine doesn’t freeze right, so I always use 16 oz to 1 can of SCM! So weird! I’ve actually found that I love it best when cream cheese and butter are mixed in (well, obviously– don’t cream cheese and butter make everything better? ), it’s just the right consistency! These look amazing! I especially love how chewy those cookies look! I totally was waiting for these after that instagram post. Pinning this one for sure. Love us some Biscoff! As Im sitting here eating homemade biscoff ice cream!! I wish I had these cookies to sandwich it with! I loooove cookie ice cream sandwiches! These sound amazing!! Oh Aimee! These look SO good! oh my, I’m in heaven looking at this…thank you! Just discovered Biscoff a few months ago (have a Peanut-allergy son) and we call it “Bad News Biscoff” because if you just have one bite, it’s bad news…so addicting! Anyway, I think this is a must for a special occasion…. Bad news Biscoff, I love it! !